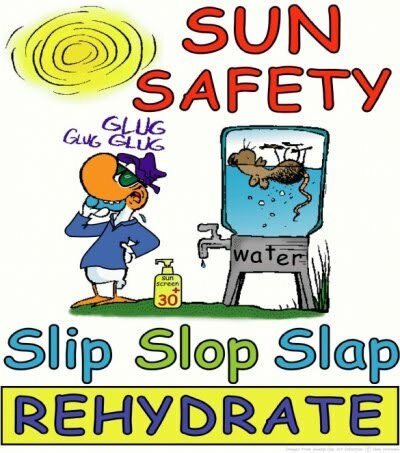 "Tan safely and remember to SLIP, SLAP, SLOP! 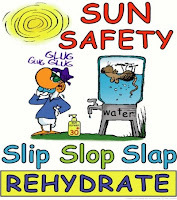 Slip on a Shirt - Slap on a Hat - Slop on Sunscreen"
"Slip, Slop, Slap was also used in New Zealand, where the mascot is a lobster"
the skin cancer aware message of the campaign had successfully been absorbed into the Australian psyche. an fashion designer that is cool relax person that see things in a different way. My company name Robotz on Marz. My company is about robots that live on mars, and like to do human like things. How I came up with this name is funny. I use to tell everybody I from mars and that I was 360 years old; the robot part I got it from a girl I know. My line is focus to the urban and skater crowd. My goal with my clothing line is to put people in my world and show them how I see thing. I do a lot of random things and say a lot random things. Also my company is about having fun and peace. I’m a skater, so I know what the skater wants. 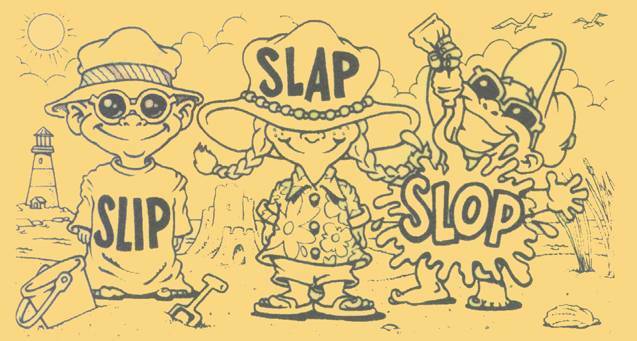 I’m also working on a skate team call fresh fitted for the summer. My goal with the team skate team is to find six young kids, hopefully take around the world to skate, have fun, and win trophys.